EL SEGUNDO, CA — In a 3-2 overtime win at Vancouver on November 25, forward Linden Vey set up the first goal of the game during a two-on-one break, when he drew Vancouver Canucks defenseman Jason Garrison to him, and then passed across to left wing Kyle Clifford, who deked and beat Canucks star goaltender Roberto Luongo on his backhand at 13:50 of the first period. Selected by the Kings in the fourth round (96th overall) of the 2009 National Hockey League Entry Draft, the 22-year-old, 6-0, 200-pound native of Wakaw, Saskatchewan has been centering either the fourth line with the Kings, and through ten games, he has contributed five assists, while averaging 13:07 of ice time. Although Vey’s stint with the Kings can be characterized as, “so far, so good,” don’t expect head coach Darryl Sutter to admit that. In fact, Sutter was rather critical after Vey’s first NHL game, a 2-0 shutout win over the Buffalo Sabres at Staples Center in Los Angeles on November 7. Like virtually all young players, Vey’s play has been a bit inconsistent. When asked a more general question about young prospects Tanner Pearson, Toffoli and Vey, Sutter said that each was still teetering on the edge of being in or out of the lineup. Although it may sound like Sutter isn’t too keen on having the three young players up with the big club, he warned not to read too much into whether they play or not, or how much ice time they get, because whether they are in the lineup or not, they are still learning. Despite noting Vey’s ups and downs, Sutter has trusted him enough to play him in all situations. As Sutter pointed out, defensive zone coverage has been a challenge for Vey, but that aspect of his game is something he is focusing on. In addition to his defensive zone play, Vey indicated that the schedule at the NHL level is taking some getting used to. As a young player on his entry-level contract, Vey does not have to clear waivers in order to be assigned to the minor leagues. 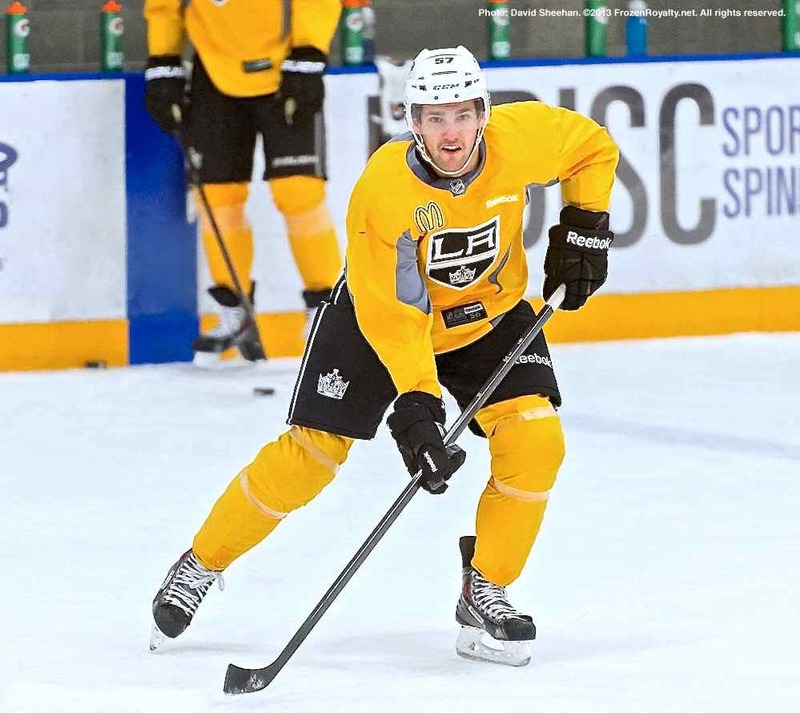 As such, he could be assigned back to Manchester once injured forward Trevor Lewis returns to the lineup. Despite the fact that he could be sent back to Manchester at any time, Vey appears to be keeping himself focused on the right things. This experience is good for the young players. It sounds like Vey has the right attitude also.